Patients experiencing acute stress, with many regulatory systems being affected. 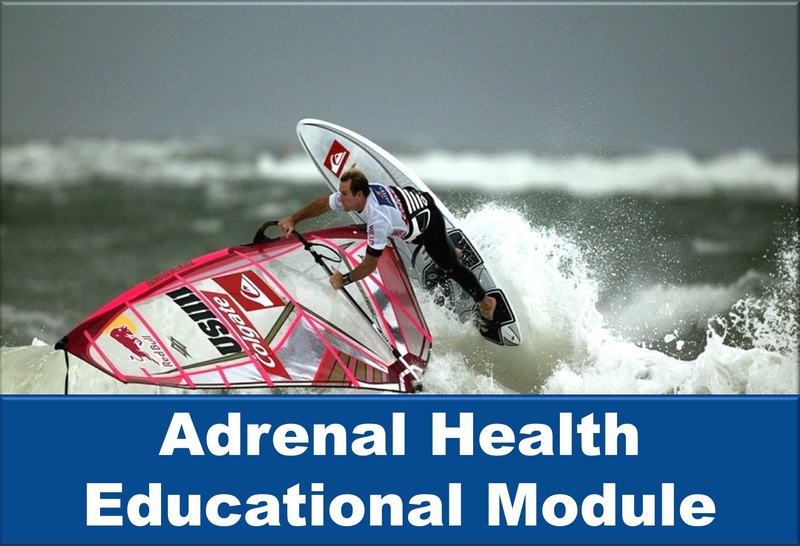 In addition to the adrenal glands, acute stress affects all homeostasis regulatory systems. 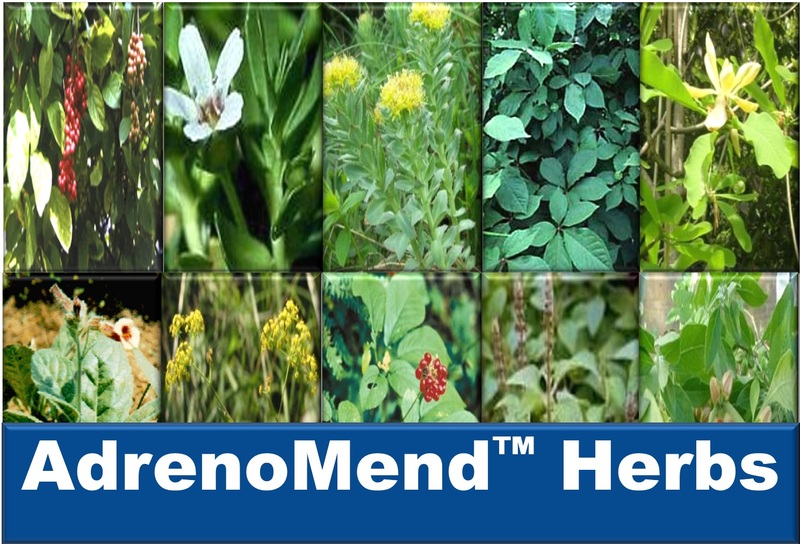 By balancing all homeostasis regulatory systems, AdrenoMend™ can prevent acute symptoms from becoming chronic symptoms. 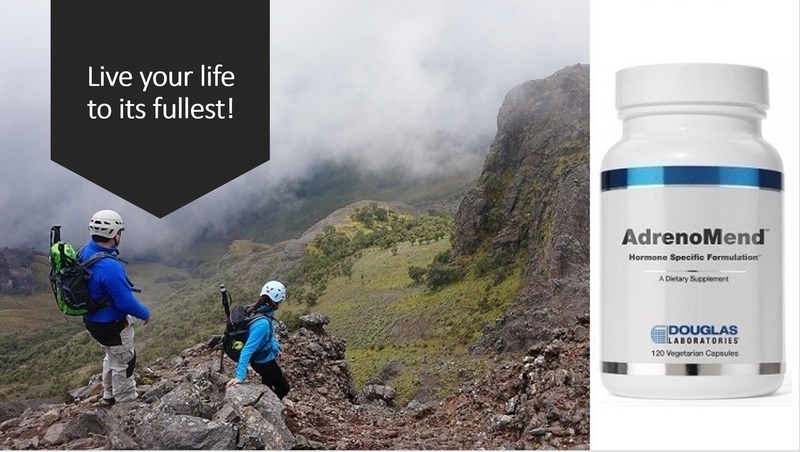 Patients who have chronic symptoms of Adrenal Fatigue and multiple system fatigue. 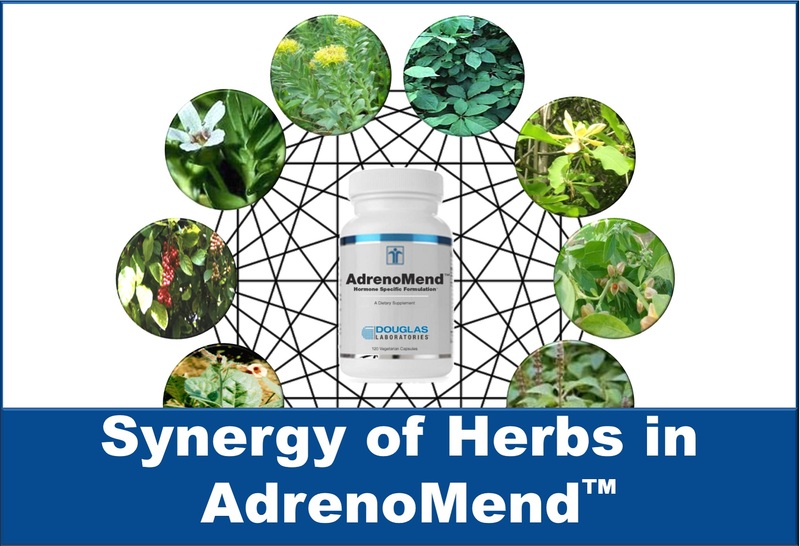 – AdrenoMend™ can be used to recover from an event or number of events caused the chronic symptoms and multiple system fatigue, by restoring function to the adrenal glands and other homeostasis regulatory systems. Patients with a medical condition that is not responding to therapies known to cure the condition. When a patient is not responding to a therapy that they should respond to, there is typically poor function of one or more homeostasis regulatory systems. 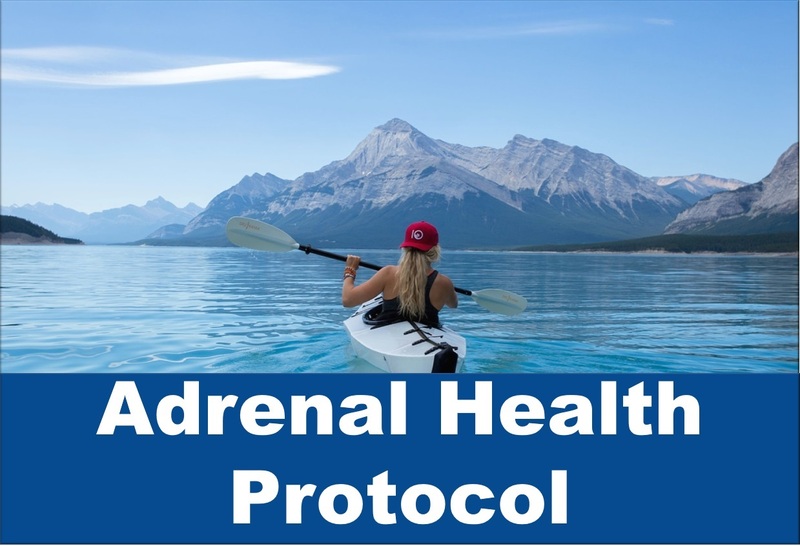 AdrenoMend™ restores function of the homeostasis regulatory systems, so that the patient can overcome the resistance to the therapy. Ahmad F, Khan MM, Rastogi AK, Kidwai JR. Insulin and glucagon releasing activity of coleonol (forskolin) and its effect on blood glucose level in normal and alloxan diabetic rats. Acta Diabetol Lat. 1991 Jan-Mar;28(1):71-7. Bhattacharya SK, Muruganandam AV. Adaptogenic activity of Withania somnifera: an experimental study using a rat model of chronic stress. Pharmacol Biochem Behav. 2003 Jun;75(3):547-55. Calabrese C, Gregory WL, Leo M, Kraemer D, Bone K, Oken B. Effects of a standardized Bacopa monnieri extract on cognitive performance, anxiety, and depression in the elderly: a randomized, double-blind, placebo-controlled trial. J Altern Complement Med. 2008 Jul;14(6):707-13. Chang H, But P. Pharmacology and Application of Chinese Materia Medica. Chinese University of Hong Kong, Singapore: World Scientific, 1987. Chowdhuri DK, Parmar D, Kakkar P, Shukla R, Seth PK, Srimal RC. Antistress effects of bacosides of Bacopa monnieri: modulation of Hsp70 expression, superoxide dismutase and cytochrome P450 activity in rat brain. Phytother Res. 2002 Nov;16(7):639-45. Du J, Ling CQ, Chen YA. Effect of Herba Epimedil Brevicornus and prepared Radix Rehmannia on glucocorticoid receptor in glucocorticoid receptor downregulated rats. Zhongguo Zhong Xi Yi Jie He Za Zhi. 2008 Jan;28(1):64-7. Ealey PA, Kohn LD, Marshall NJ, Ekins RP. Forskolin stimulation of naphthylamidase in guinea pig thyroid sections detected with a cytochemical bioassay. Acta Endocrinol (Copenh). 1985 Mar;108(3):367-71. Fintelmann V, Gruenwald J. Efficacy and tolerability of a Rhodiola rosea extract in adults with physical and cognitive deficiencies. Adv Ther. 2007 Jul-Aug;24(4):929-39. Kulkarni SK, Dhir A. Withania somnifera: an Indian ginseng. Prog Neuropsychopharmacol Biol Psychiatry. 2008 Jul 1;32(5):1093-105. Epub 2007 Sep 21. Lee B, Shim I, Lee H, Hahm DH. Effect of Bupleurum falcatum on the stress-induced impairment of spatial working memory in rats. Biol Pharm Bull. 2009 Aug;32(8):1392-8. Panossian A, Wagner H. Stimulating effect of adaptogens: an overview with particular reference to their efficacy following single dose administration.Phytother Res. 2005 Oct;19(10):819-38. Panossian A, Wikman G. Pharmacology of Schisandra chinensis Bail. : an overview of Russian research and uses in medicine. J Ethnopharmacol. 2008 Jul 23;118(2):183-212..
Sheikh N, Ahmad A, Siripurapu KB, Kuchibhotla VK, Singh S, Palit G. Effect of Bacopa monniera on stress induced changes in plasma corticosterone and brain monoamines in rats. J Ethnopharmacol. 2007 May 22;111(3):671-6. Epub 2007 Jan 30. Singh RH, Narsimhamurthy K, Singh G. Neuronutrient impact of Ayurvedic Rasayana therapy in brain aging. Biogerontology. 2008 Dec;9(6):369-74. Epub 2008 Oct 18. Sun LJ, Wang GH, Wu B, Wang J, Wang Q, Hu LP, Shao JQ, Wang YT, Li J, Gu P, Lu B. Effects of schisandra on the function of the pituitary-adrenal cortex, gonadal axis and carbohydrate metabolism in rats undergoing experimental chronic psychological stress, navigation and strenuous exercise. Zhonghua Nan Ke Xue. 2009 Feb;15(2):126-9. Tachikawa E, Kudo K. Proof of the mysterious efficacy of ginseng: basic and clinical trials: suppression of adrenal medullary function in vitro by ginseng. J Pharmacol Sci. 2004 Jun;95(2):140-4. Tachikawa E, Takahashi M, Kashimoto T. Effects of extract and ingredients isolated from Magnolia obovata thunberg on catecholamine secretion from bovine adrenal chromaffin cells. Biochem Pharmacol. 2000 Aug 1;60(3):433-40. Xu Q, Yi LT, Pan Y, Wang X, Li YC, Li JM, Wang CP, Kong LD. Antidepressant-like effects of the mixture of honokiol and magnolol from the barks of Magnolia officinalis in stressed rodents. Prog Neuropsychopharmacol Biol Psychiatry. 2008 Apr 1;32(3):715-25. Epub 2007 Nov 28. Zhang RX, Jia ZP, Kong LY, Ma HP, Ren J, Li MX, Ge X. Stachyose extract from Rehmannia glutinosa Libosch. to lower plasma glucose in normal and diabetic rats by oral administration. Pharmazie. 2004 Jul;59(7):552-6.